Mount Carmel Hospital Entrance (© Daisy Flanagan 2016). In the early hours of the morning on 16 July 1861, 253 patients were transferred from the Franconi asylum to a brand new asylum building in the countryside of Attard, Malta. The event was hailed as the start of ‘treating lunatics as if they were men of reason’. 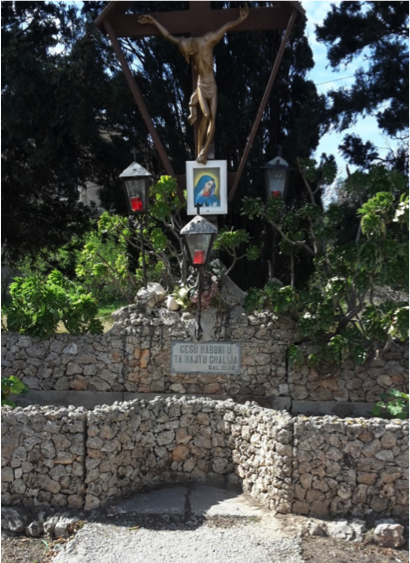 Prior to the opening of the asylum in Attard, the treatment of the ‘insane’ in Malta was provided at Villa Franconi, a makeshift asylum situated in the heart of a residential neighbourhood in the city of Floriana. There, vast overcrowding and a consequent lack of basic hygiene led to the decision in 1850 that a new institution was needed- one in a ‘more suitable’ location. The site of the new asylum was considered hugely important, selected based on its potential to deliver a new ‘moral treatment’ strategy. Consisting of ‘doing everything for the patients’, the essence of therapy was to employ any means possible to divert the patient’s thoughts from the ‘irrational notions’ that had led to their admittance. In a study on the earlier Franconi asylum, historian John Chircop describes daily life in the asylum as being visibly shaped by the ‘permeable borders’ between the institution and the community. However, a paucity of information exists on the functioning of the asylum after its move. The importance that Chircop ascribes to these community influences begs the question of how the asylum functioned after it relocated, dislocated from the community. The new location and design enabled a comprehensive system of moral therapy to be implemented, including the use of work therapy, entertainment and religious instruction. That said, by the turn of the century, overcrowding and inadequate funding had constrained any therapeutic benefits. Work-based therapy was the first element of ‘moral management’ to be introduced following the asylum’s move, with an abundance of surrounding land enabling agricultural work to begin. Within five years of the asylum’s opening, the comptroller had acquired numerous animals for the patients to tend to, including an entire flock of goats. The form of work allocated to patients, however, was entirely dependent on the gender and social class of the individual. Female patients were far less likely to be engaged in agricultural work or labouring. Instead, women were employed in needlework or other domestic duties. By the end of the century, a severe lack of funding led to a shift in attitudes, pushing authorities to consider patient work as a profitable, rather than medical, venture. The second element of ‘moral’ treatment came in the form of ‘rational amusements’ for the patients. The new location provided sufficient space for multiple forms of entertainment, including music, theatricals and trips. The Maltese asylum saw vast improvements in the attitude of the staff towards the patients in this period, often in response to their mutual engagement with these amusements. For example, the lamps and scenery for theatricals were often provided at the attendants’ own expense. The contrast between this focus on the amusement and cure of patients, and the subsequent decline in the latter part of the century into overcrowding and mechanical restraint is stark. While work ‘therapy’ continued due to its profitability, amusement became dispensable when funding and space was restricted. The final component of moral treatment was the regular provision of religious services. Arguably, the provision of religious instruction was held in higher regard than the other two facets of moral management discussed above. Certainly, from a monetary standpoint, the funds expended on ecclesiastical activities exceeded those spent on amusements and agriculture combined. Mass was held twice daily in the asylum, with an average attendance of approximately 100 patients. Furthermore, the chaplains were expected to take charge of the moral management of the patients, reading to those who were unable and encouraging patients to engage in occupations and amusements. The religious services created order, providing structure to the patients’ day. Overall, the new design and abundance of space enabled the introduction of an extensive programme of moral management. 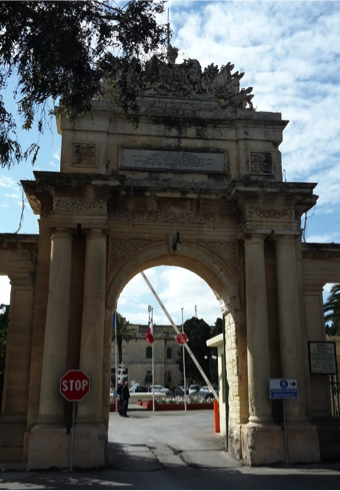 However, the Attard asylum, intended as it was to embody a perfect ‘non-restraint’ system, was ultimately constrained by the design and location that enabled the initial implementation of ‘humane’ treatment. By 1900, the overcrowding that developed prevented the utilisation of the ‘uncommonly civilised’ treatment that had previously been routine. National Archives of Malta, Rabat. (Hereafter NAR.M), Letter of 11 December 1867 in ‘Inspectors Letters to Chief Secretary to Government, 1867-9’, CI.60. For archival material, where page numbers were not available, the date of the item is given to help with identification of material. NAR.M, Letter of 23 May 1850 in ‘Inspectors Letters to Chief Secretary to Government, 1850-57’, CI.53. Christopher Philo, A Geographical History of Institutional Provision for the Insane from Medieval Times to the 1860s in England and Wales: The Space Reserved for Insanity (Lewiston:Edwin Mellen Press, 2004), 568-72. W.A.F Browne, ‘The Moral Treatment of the Insane: A Lecture’, Journal of Mental Science, 1864, 10, 315-16. Smith, L., Cure, Comfort and Safe Custody: Public Lunatic Asylums in Early Nineteenth-Century England (London and New York: Continnuum-3PL,1999), 208. John Chircop, ‘Management and Therapeutic Regimes in Two Lunatic Asylums in Corfu and Malta 1837-1870’, in Sally Sheard and Laurinda Abreu, (eds. ), Hospital Life: Theory and Practice from the Medieval to the Modern (Oxford:Peter Lang, 2013), 181. Phrase taken from Graham Mooney, and Jonathan Reinarz, eds, Permeable Walls: Historical Perspectives on Hospital and Asylum Visiting (Amsterdam: Clio Medica, 2009). NAR.M, Memo dated 24 August 1868 from ‘Order Book from Comptroller to Various Branches of the Charitable Institutions, 1867-71’, CI.166, 196. NAR.M, Letter of 28 May 1867 in ‘Inspectors Letters to Chief Secretary to Government, 1867-69’, CI.60, 19. Maltese National Statistics Office, ‘Lunatic asylum’ in ‘Blue Books’ 1870-1900. Accessible online at: https://nso.gov.mt/en/nso/Historical_Statistics/Malta_Blue_Books/Pages/Malta-Blue-Books.aspx, (Accessed 18/4/2016). NAR.M, Memo dated 19 March 1880 from ‘Order Book from Comptroller to Various Branches of the Charitable Institutions, 1871-82’, CI.167, 321. Smith, Cure, Comfort and Safe Custody, 239. NAR.M, Letter of 6 November 1876 in ‘Inspectors Letters to Chief Secretary to Government, 1872-78’, CI.62. NAR.M, Memo dated 28 May 1869 from ‘Order Book from Comptroller to Various Branches of the Charitable Institutions, 1867-71’, CI.166,348. NAR.M, Letter of 31 July 1882 in ‘Inspectors Letters to Chief Secretary to Government, 1877-83’,CI.63. NAR.M, Memo of 11 March 1895 ‘Regulations for Chaplains’ in ‘Order Book from Comptroller to Various Branches of the Charitable Institutions, 1889-1900’, CI. 169. NAR.M, Letter of 11 December 1867 in ‘Inspectors Letters to Chief Secretary to Government, 1867-69’, CI.60.